Argh, so many of me! Here are two items that I bought during "studying" (I'll get back to this later). I was going to write a haul post, but I find them pointless, so I thought I might as well incorporate it into an outfit, even though it's not that interesting. Since our library is right in our town centre, I decided to have a quick pop into some shops - i.e. Topshop. I found this t-shirt for only £7 in the sale section. I think it was mainly because it is really creased, and I'm sorry that I didn't iron it before taking these pictures. I realise so many bloggers have this top and it kind of looks like a pyjama top, but it was too good of a deal to pass off. I also bought this spiked headband as I like spikey head gear, as well as a burnt orange beanie that I forgot to photograph, for one squid. I will try to be better at sticking to my revision, instead of spending my time shopping and writing pointless, trivial and superficial blog posts! Oh, and if anyone is wondering how I got my hair wavy like this, I used this ClothesEncounters video tutorial. Enjoy! P.S. I need to stop buying shirts with stupid phrases on them. This top has "SUPERNATURAL" written across it, hence why I called this post this. Something supernatural means something that is departing from what is usual or normal especially so as to appear to transcend the laws of nature. Anyone with a brain would realise there is nothing supernatural with skulls; in fact they are probably the most organic and natural part of nature. Triangles are slightly less common but they can be found on tetrahedron shaped crystals, the geometry of spider's webs, carnivorous incisor, star-fruit and the arms of starfish - i.e. they are completely natural. Take that Topshop. P.P.S. 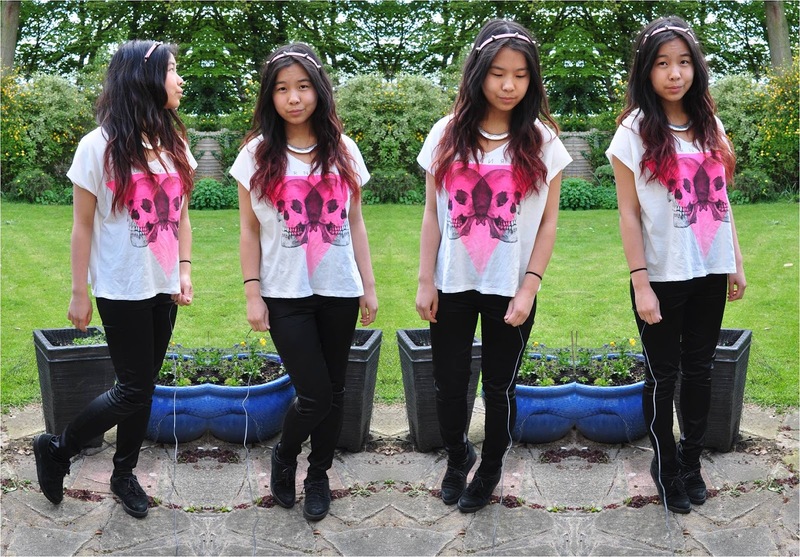 I also need to stop buying tops that have skulls on them and are neon coloured, like this one featured in this outfit post. 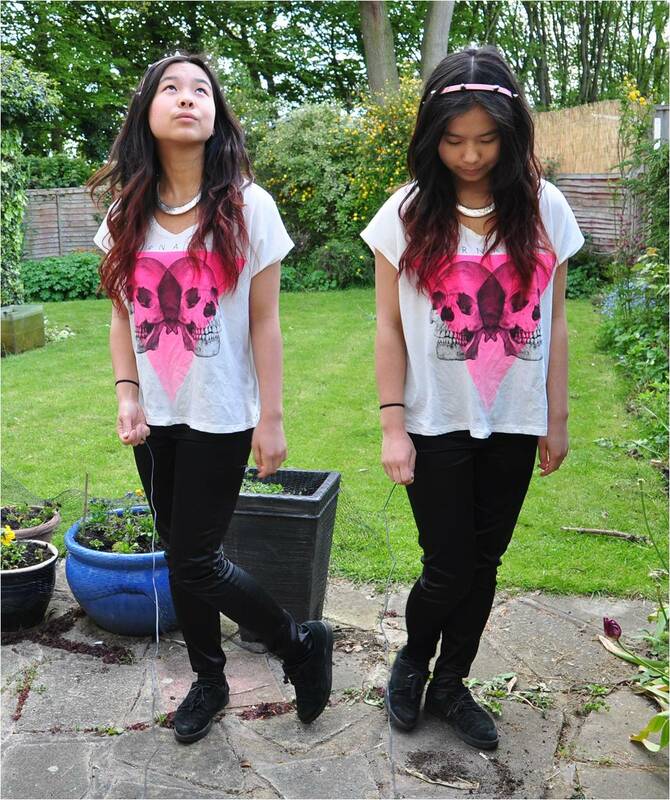 Great photos, I have this t-shirt aswell! Love that tshirt so much, looks great! Cute shirt! We like it! 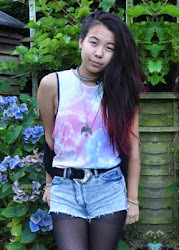 I LOVE your dip dye :D following! Your hair looks amazing I will definitely be trying that tutorial and cute top as well. I love that headband, never seen that in pink! Gorgeous outfit, love this t-shirt so much. Awsome tutorial -thank you so much for the link. Lovely top (: I really like your headband too! love this tutorial! will definitely be trying this soon! your hair looks amazing<3 love your style! I really like your blog, I like your style and all your looks, you are charming !!! Love the t-shirt and headband! I love this outfit, it looks so nice! :) And I love what you said about phrases on t-shirts, so true! Great outfit I love that t-shirt!